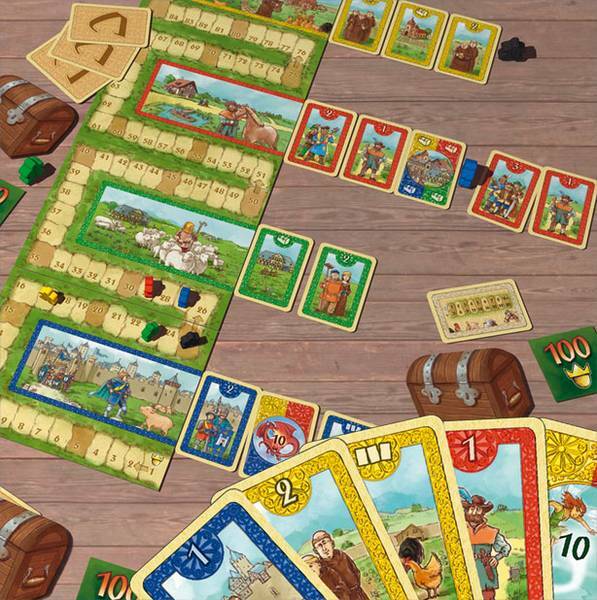 Cardcassonne is a light filler game of timing and set collecting. Players lay and collect cards and the core play is whether to claim now or wait for more cards but risk someone else claiming what you want. At the start of a round, each player has one meeple and a hand of cards (the number of which is based on the number of players, i.e. 5 cards each round in a 4-player game). During play, there are four coloured rows on the table into which you can place cards – red, blue, green and yellow.